These swatches are modelled after the ones described here. The basic idea is to test the paint’s behaviour and characteristics. Opacity – black lines near the top. The first is drawn before the paint is applied, the second after. Backrun – the band near the bottom was created by swiping a brush with clean water over the swatch. 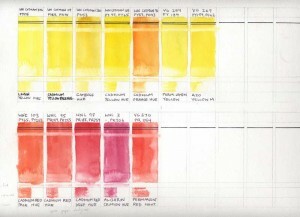 Tinting – The narrow band between the two blocks – tests the characteristics of a rather diluted pigment and can be compared against the main swatch to determine the ‘strength’ of the pigments. Wet-in-wet – the bottom band. The block is brushed with clear water then paint is applied in the left. The test is to see how much of the paint bleeds into the wet patch and how it behaves when it does so. In addition, the top labelling indicates the colour code in its brand range and the pigments used in the colour. The bottom is obviously the colour’s name. 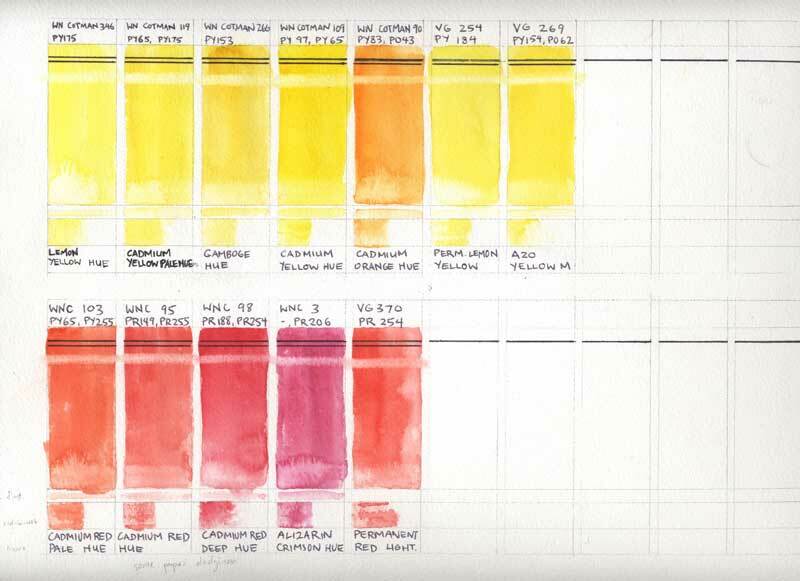 These swatches aren’t totally reliable as they’re made from pan colours – so the ratio of paint to water can’t be controlled in a methodical manner as described in the handprint guide. 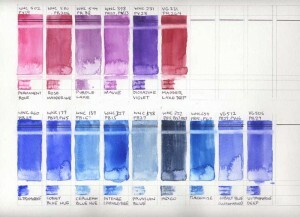 It’s also why I’ve yet to put in the tint lines for the blues as I’m pondering a better way to control them. 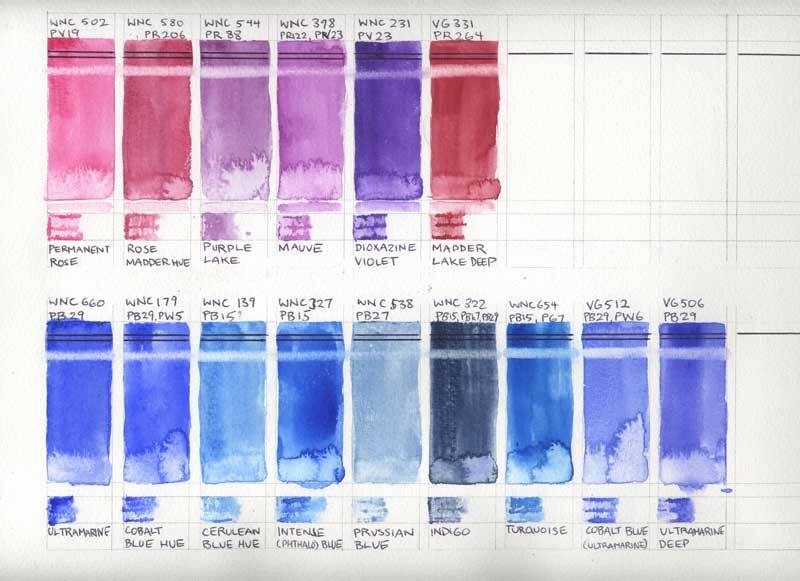 Even considering that they might not be totally reliable as a standardised set of information about pigments, however, the swatches are still useful as a guide to the way I use my paints.